SKU: 32400. Category: Autographed, Book. 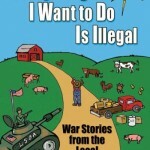 “There is one and only one voice in Congress for a foreign policy of freedom, and it belongs to Ron Paul, who has stood alone for freedom for many years. Ron is the seemingly impossible: a voice for reason and truth in a den of thieves. “A Foreign Policy of Freedom is his 372-page manifesto, a collection of inspired statements to the House of Representatives that show him to be the most consistent and morally responsible politician, perhaps, in the whole of American history. “This book takes on a special significance with his 2008 run for the US presidency. Llewellyn H. Rockwell, Jr., writes the introduction. “Recently, you might have heard Ron condemning foreign aid, the Iraq War, our vast and needlessly growing military budgets, bombings of this country and that, troops in most all countries in the world, and all the other meddlesome activities of the US empire. 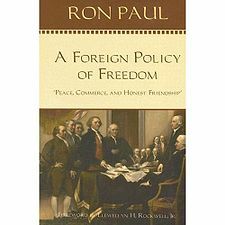 This foreign policy, Congressman Paul has pointed out, is contrary to American ideals, diminishes American liberty, and ends up making worse the very problems it seeks to alleviate.